Planning. Done well it can produce great things, but be worryingly conspicuous when it’s absent. As with many other important events, the success and smooth running of your end of year accounts is all about good planning. In the words of Benjamin Franklin: “If you fail to plan, you plan to fail,” and this is certainly something to bear in mind when optimising the efficiency of your accounting processes. 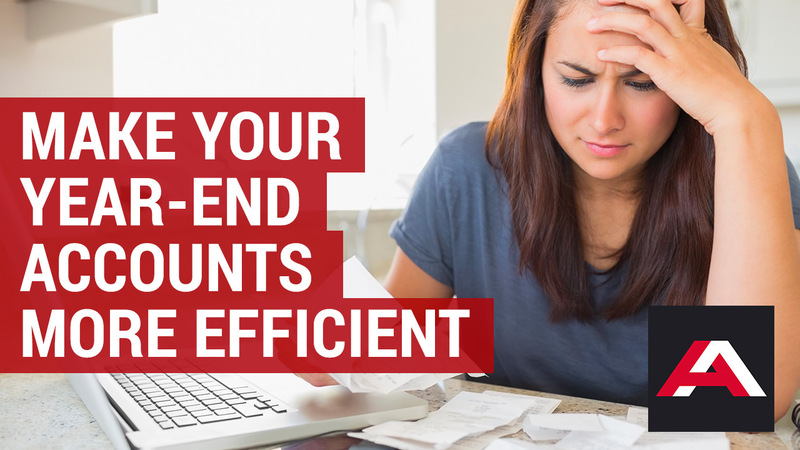 So when, as a business owner, you’re wondering, ‘how can I make doing my year-end accounts more efficient’, excellent planning is a good start, but what else can you do? To assist with the flawless planning, there are a few good systems and efficient practices that you can put in place, which will remove any need for year-end to be a nightmare. And one of these has to be using online accounting systems such as Xero to make life that much easier. Gone are the days of having reams of Excel spreadsheets knocking about, outdated software, or all your information stored in one place, as you live in dread of the day the IT system goes down. Thanks to cloud based accounting software, it can all be accessed wherever you are, whenever you need it and delivered in a straightforward and easy to use way, on a multitude of electronic devices. There’s also no need for business downtime while you wait for important updates to your software – these are automatically delivered. More than 500 add-ons and business apps that integrate with software such as Xero can offer help with traditionally time-consuming tasks, such as invoicing (Receipt Bank, Entryless), payments (Stripe, iZettle), time and fee management (Workflow Max) and cashflow forecasting (Float). It’s these kind of apps which enable you to gather relevant information throughout the year, to ensure that, when year-end rolls around, everything has been stored in an efficient and orderly way. So, ultimately, you get to avoid the last minute scramble to find what you need and can get on with what you do best – running your business. As well as keeping everything in order throughout the year and making use of online accounting systems to make business life easier, it’s important to have a good relationship with a proactive accounting professional. These are the people who can help ensure you’re on the right track and won’t have a manic year-end. Accounting services you can expect to benefit from in forging a great working relationship with an accounting professional include tax planning, business start-up advice and budgeting, as well as advice on day-to-day tasks such as book-keeping and payroll. In this aspect, great communication and a good working relationship (add link to 28th March blog) with your accountant is key. It would be fair to say that new technology has transformed accounting, but the key to efficiency is, without doubt, the ability to make the most of it and use it properly. To find out more about how we can help your business, call 01730 823000 or – email Jon or Matt now for a friendly, helpful and informative chat.